Andrew lectures regularly at functions across Australia. Using video and stunning images from his desert journeys as commercial expedition leader, solo explorer or working with scientists on ADE surveys, he can tailor his presentation to suit your specific interests and requirements. To book Andrew to speak at your event in Australia, be it for a school group of 30 or a corporate audience of 300, please use the form on the Contact page. "Andrew Harper's appearance in Bristol's Wilderness Lectures 2015/16 series characterised all the hallmarks of a great presentation that our audience has come to expect in nearly 30 years of our operation. Stunning photography, the tragedy of a vanishing way of life, a combination of personal achievement and adventure, and a recognition of the value of wilderness environments to both scientific understanding and the human psyche." Andrew presented "Transformations: The Simpson Desert from Drought to Flood and Fire" at the Royal Geographical Society of Queensland’s first Lecture for 2014, on 4 February. Andrew’s presentation attracted an audience of over 110 Members and Guests and was of special interest to a large number of Members who have visited the Simpson Desert and or contiguous areas and contributed to Scientific Studies. Andrew’s passion for, and intimate working knowledge of the Simpson Desert was evident in his enthusiastic presentation which was accompanied by spectacular photography. It was most instructional to see the dramatic transformations of the desert through flood, drought and fire, and to hear how this company is contributing to our scientific understanding of the region. 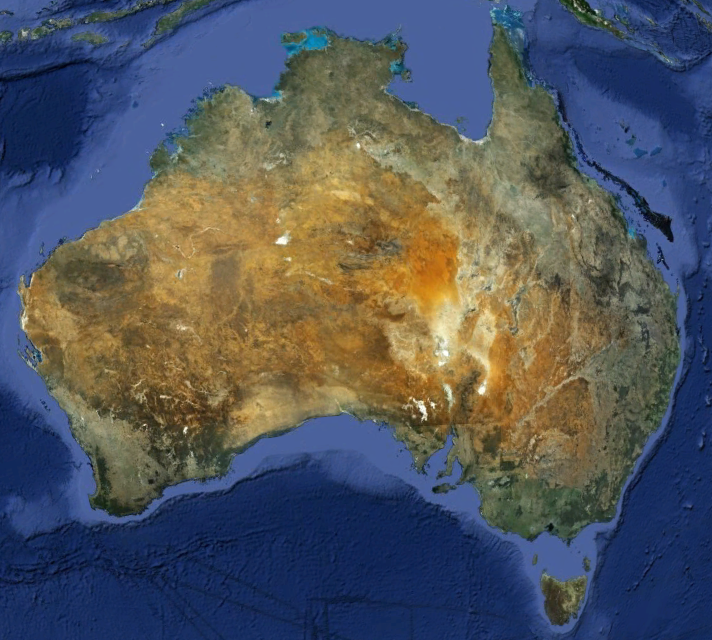 Australia's driest area experienced record and repeated rains and floods from 2009 to 2011. Over the three years, Andrew led scientific expeditions right across this huge wilderness which documented the incredible proliferation of flora & fauna, including the massive plagues of native rats and mega swarms of budgerigars. A rich, visual and informative presentation on a remarkable transformation of the world's largest parallel sand-ridge desert. The grand days of 19th Century desert exploration were pivotal in the development of inland Australia, and as the young colonies launched major scientific expeditions into the blank parts of the map, the camel quickly became the choice of transport to explore the inland. Nearly 70 years after the last great desert scientific expedition, Andrew profiles how Australian Desert Expeditions has tailored a 150 year heritage to furthering our desert knowledge in the 21st Century. Lead camel TC (Tall Camel) has been Andrew's uncomplaining (most of the time) shadow since 1995 and is unquestionably Australia’s most travelled dromedary. He has walked right across the country from coast to coast, crossed all 9 of our great inland deserts (including the Simpson Desert over 20 times) and as far as the other camels in Andrews team are concerned, is the Chairman of the Board. 17 years of working alongside and living with the ultimate cross-country exploration vehicle has afforded Andrew a delightful insight into the musings of these majestic creatures and faithful workmates. It took 17 years to ‘get around to it’, and was a story of determination and endurance, eventually proving to be part panacea to the frustrations of having a serious illness. But ultimately it was, in many ways, just a walk. Andrew could not have ‘chosen’ a better year to finally cross the Simpson Desert solo. The conditions were perfect, plenty of feed for the camels and some ecological projects to conduct for Sydney University along the way. Solo? Alone? You are never alone when travelling with animals. And it was not the intention to simply walk across the desert - the intention was to go exploring. In life there is always another dune to cross . . .
"He leads the most remote treks in the country and works in conjunction with research institutions and indigenous groups to enhance the database of desert knowledge. Questions from the enchanted audience included the topics of feral camels, precautions against snakes and the Aboriginal response to such activity. There was no disagreement to President Rod Shearings remark that the camels were the stars of this show. Grateful thanks to Andrew." "To most of us it was a revelation about areas we had never been to. The lecture was well planned and professionally delivered. Andrew gave a well-illustrated exposition of the idiosyncrasies of life in the desert, the great physical endurance, and the transport capacity of Australian camels and the problems experienced. Most of the spectacular film and photography that illuminated his talk had been taken by Andrew himself, and exposed the hard country, camaraderie and joint experiences of the cameleers and adventurers that accompanied him on trips. One fact that became obvious was that the journeys were not particularly by thrill seekers but by scientists on important specific missions to study aspects of desert life, and required very detailed planning." "The Rotary Club of Albury is indeed grateful for the opportunity, given by Andrew, for the wonderful film show of his walks with camels throughout the Australian deserts. The collection of botanical specimens, bird surveys and scientific research undertaken with his journeys was fascinating and exciting - a most informative and enjoyable evening." Andrew Harper ('Harps') is the real mcoy: calm, organised and unflappable in a crisis, he has operated strings of camels - exploring some extraordinarily remote parts of the Australian desert - for more than a decade now. He has a superb ability to navigate hundreds of kilometres cross-country, and pick his way through complicated terrain. His quiet confident handling of his camels is a mark of the man. He is an accomplished public speaker, with a good sense of an audience, a matter-of-fact style and a fine sense of humour. There is not an ounce of self-boosterism about this bloke. He speaks with the self assurance of a man with bucket-loads of experience in operating expeditions in isolated places, relying on his own skill and resources to ensure the safety of his party."